Now scheduled for 29th August at Massey Albany. Primarily for final year Food Science and Technology students the seminar is available for a small fee to Industry who wish to update themselves or their new staff. Increasing the price of unhealthy food and drinks through a tax of at least 20 per cent could improve people’s health and have an impact on diet-related diseases, a new study shows. The study by BMJ (formerly the British Medical Journal) suggested fat and sugar taxes needed to be at least 20 per cent to have a significant effect on obesity and cardiovascular disease. A tax on sugary drinks would be most successful, the study showed. It also revealed that taxes on unhealthy foods should be combined with subsidies on healthy foods such as fruit and vegetables. ”Price is an important determinant of food choices and diet,” the study said. ”As the price of an item rises the consumption of that item will typically fall. Denmark has introduced a fat tax and Hungary a junk food tax. France has introduced a tax on sweetened drinks and Peru is planning to implement a junk food tax. Some public health experts in Australia have called for a tax on junk food. In this reviewers opinion, legislation will never force people to eat healthily. 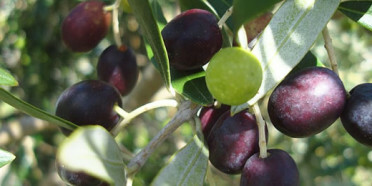 This column has talked about the quality of olive oil on the New Zealand market now for several years. The recent Fair Go TV program covered this topic in a factual and informative manner. The program sent 14 extra virgin olive oils bought at 14 supermarkets off to Australia for testing. The entire seven, randomly chosen European oils all failed to pass the extra virgin test. The same oils were also evaluated by a taste panel assembled here in New Zealand (IOC approved) New Zealand oils came through as good quality. Every one of the European oils tasty rancid. An article by Paul Holmes in the New Zealand Herald gave a very good review of the issues involved. The New Zealand Food and Grocery Council, the body that opposed having the new Australian standard accepted here, refused to accept the results of the tests. Their executive officer came across as either naive or totally ill-informed. So in the end it’s all down to the consumer. Enough has been said about the poor quality of oils being imported into New Zealand and now is just a matter of choice. If you pay a cheap price you get a cheap product and if you want quality, one has to pay for it. It is annoying to the people in New Zealand and Australia who genuinely label oil extra virgin, that there are so many products purporting falsely to be extra virgin with all the health benefits and polyphenol contents. Recent acquisitions globally have illustrated the vast interest in omega-3 supplies. German chemical firm BASF has bought Equateq (UK) and its pharmaceutical-grade omega-3 line for an undisclosed amount. BASF also acquires their separation technologies for eicosapentaenoic acid and docosahexaenoic acid. “With the acquisition of Equateq, BASF now offers a full range of omega-3 fatty acids ranging from natural fish oil to mid-range EPA/DHA concentrates and super-high concentrates. Adam Kelliher, the Kiwi CEO of Equateq reports that he is pleased with the deal. Dutch chemical and nutrition group DSM is to acquire Ocean Nutrition Canada, a producer of fatty acids derived from fish oil, in a deal giving the company an enterprise value of USD $530 M.
DSM said buying the Nova Scotia-based company would broaden its share of the market for omega-3 and omega-6 fatty acids, which are used in foods aimed at health-conscious consumers. Ocean Nutrition Canada says its sales have grown 20% a year in the past five years to an expected C$190m in 2012. Ocean Nutrition is the dominant company in the 1.3 bn dollar trade of omega-3 oils. There is a one day seminar on omega-3 at Massey Albany on July 5th. Founded as the Dutch state coal miner in 1902, DSM has transformed itself through deals into the world’s largest maker of vitamins with a sizeable material sciences unit. Last year DSM acquired US nutrition company Martek, which makes omega-3 acids through microbial processes. DSM said the markets for microbial and fish oil-derived omega acids were separate, with the fish oil product more often used in dietary supplements and margarine and the more expensive microbial variety used for infant formula and vegetarian products. What are the health benefits of chia seeds? Nutritionally, chia seeds are beneficial because of their extraordinarily high content of omega 3-fatty acids (ALA). About 64 per cent of the weight of the seed is omega 3-fatty acids. They contain about 20 per cent protein and 16 per cent fibre. Quercetin, myristicin, and kaempferol are also in chia seeds. These are naturally occurring antioxidants that help stabilize tissues that otherwise would be affected by allergies. The greatest benefit of chia seeds today seems to be minimizing the dietary side effects of an uncontrollable sweet tooth, a diet of 50 per cent or more simple sugars. Laboratory experiments with animals find that adding chia seed to a high-sugar diet gradually reduces insulin resistance. When cells in the muscles and liver are more sensitive to insulin, the pancreas does not have to release as much insulin to keep bloodstream glucose levels normal. When less insulin is released into the bloodstream, fewer fatty acids are stored in fat cells. This is because insulin is approximately 300 times more efficient at storing fatty acids than it is at storing glucose. Chicco AG, D’Alessandro ME, Hein GJ, Oliva ME, Lombardo YB. Dietary chia seed (Salvia hispanica L.) rich in alpha-linolenic acid improves adiposity and normalises hypertriacylglycerolaemia and insulin resistance in dyslipaemic rats. Br J Nutr. 2009 Jan;101(1):41-50. Epub 2008 May 20. There has been a lot of media recently about this product. This is coconut oil which does not have to go through the RBD process. Rather than going to the normal dry process, this oil is obtained by wet processing which entails the extraction of the cream from the fresh coconut milk and consequently breaking the cream emulsion. This process is more desirable as no chemical or high heat treatment is imposed on the oil. The coconut oil produced through the wet method is known as virgin coconut oil (VCO). It is pleasant clean tasting oil with no oxidation products and is fine for shallow pan cooking. However it is 90% saturated and as far as I am aware there are no peer reviewed clinical trials to show that it behaves other than a typical saturated fat. However it does contain a small proportion of medium chain triglycerides which do metabolise differently. A recent video on the net claims some benefit for patients with Alzheimer’s disease but one should take these anecdotal claims with a pinch of salt and await full clinical trials. For the record medium chain triglycerides by definition are C 8 and C10 fatty acid containing triglycerides. They are made from coconut and palm kernel oils by derivitisation and distillation. These two carotenoids have been the subject of hypotheses that they can help in the eye by absorbing blue light which affects the retina and macula. Now a recent study confirms their benefit in reducing the risk of cataracts. This reviewer was involved in developing a yoghurt containing lutein some years ago and it was a stunning shade of primrose yellow.